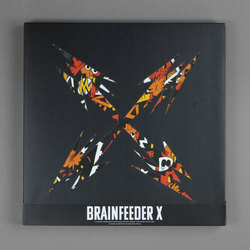 Various Artists - Brainfeeder X. CD. Bleep. 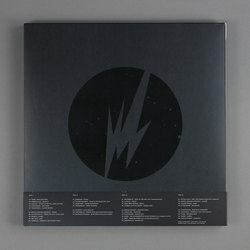 Housed in an 8 panel digipack sleeve. Founded ten years ago by Flying Lotus, Brainfeeder has constantly broken new ground with a discography that takes in some of the finest hours from Kamasi Washington, Daedelus, Mr. Oizo, Thundercat, Martyn, Ross From Friends, Lapalux, DJ PayPal, all the while reminding the world that the future is only as far away as it needs to be. 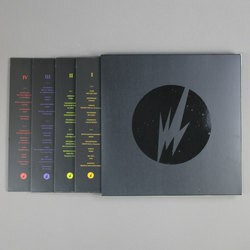 With each release, Brainfeeder has re-organized the DNA of hip-hop and house, jazz and ambient, techno and soul, funk and footwork and every other strain of beat music that eludes compartmentalization, all the while becoming a sanctified refuge for those who believe that nothing is too weird, genre is largely obsolete, and the wildest style will always reign supreme. Born from pre-gentrified Hollywood, the Valley, Lincoln Heights, plus L.A. focal points Dublab and Low-end Theory, this fiercely independent label has consistently captured some of the last decades finest street-level sounds, shooting them through the prism of Flying Lotus's second to none artistic sequencing, scope and vision. His list of co-conspirators shines strongest on Brainfeeder X, boasting a tracklist of extraterrestrial Afro-Futurist odysseys, distorted and muddied psychedelia, and samba-infused hymns to the Boxer rebellion, all coated in a fresh bowl of DMT and hammered out on an MPC. Jam-packed with classics and an A-list of new numbers so strong you will have a proper fight on your hands trying to turn the compilation off, Brainfeeder X is a proper 5-star meal for your mind.